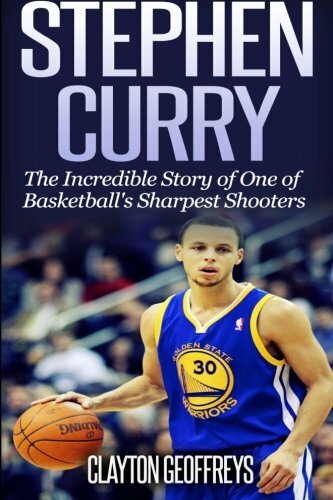 Learn the Incredible Story of the Golden State Warriors’ Basketball Superstar Stephen Curry! An Amazon Best Seller, Stephen Curry: The Inspiring Story of One of Basketball’s Sharpest Shooters, outlines the inspirational story of one of basketball’s premier point guards, Stephen Curry. Stephen Curry has had an electrifying basketball career playing in the National Basketball Association. In this short Stephen Curry biography, we will learn about how Steph became the star point guard that he is today. Starting first with his childhood and early life, we’ll learn about Steph Curry prior to entering the NBA, his time in the NBA, along with his impact on the communities of Davidson College and Golden State. Steph Curry’s success is not an accident.